This Mars Global Surveyor (MGS) Mars Orbiter Camera (MOC) image shows gullies and cracked and stressed gully apron deposits in a south mid-latitude crater. 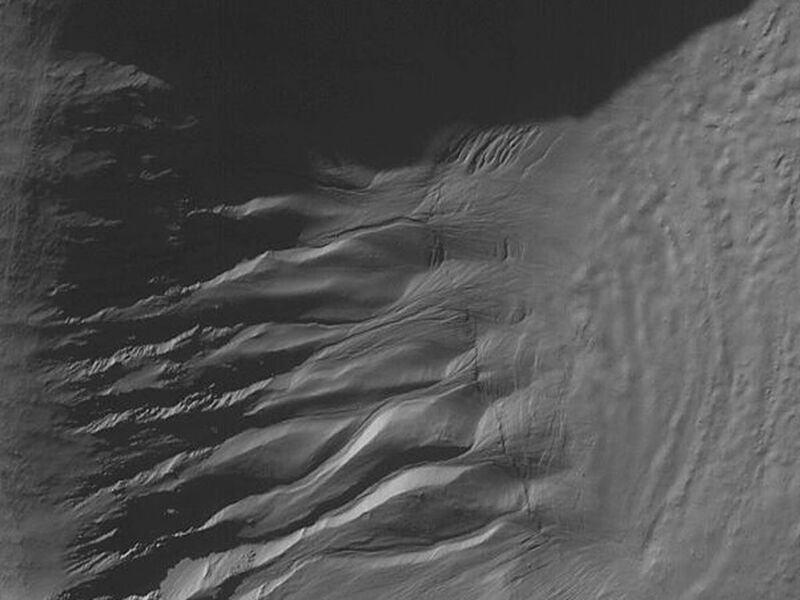 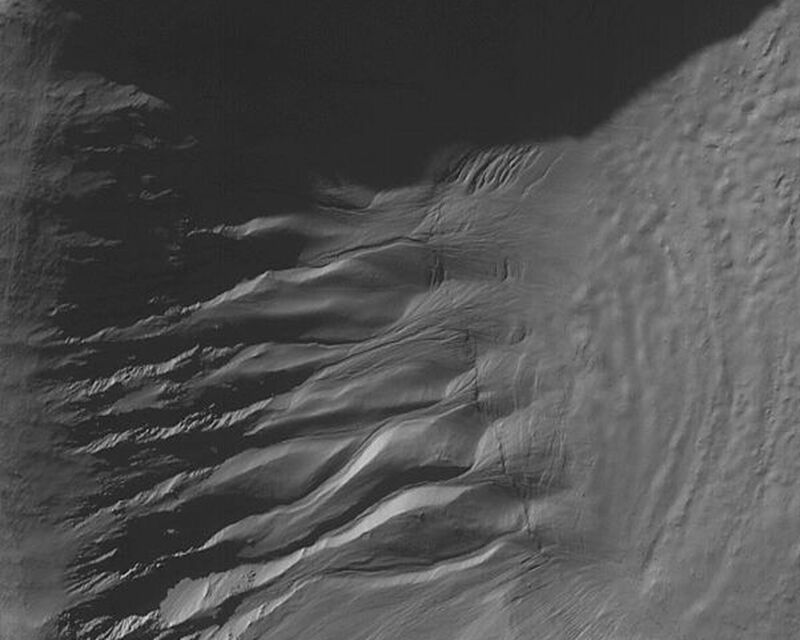 Gullies can also be seen in the deep shadow on the north wall of the crater. 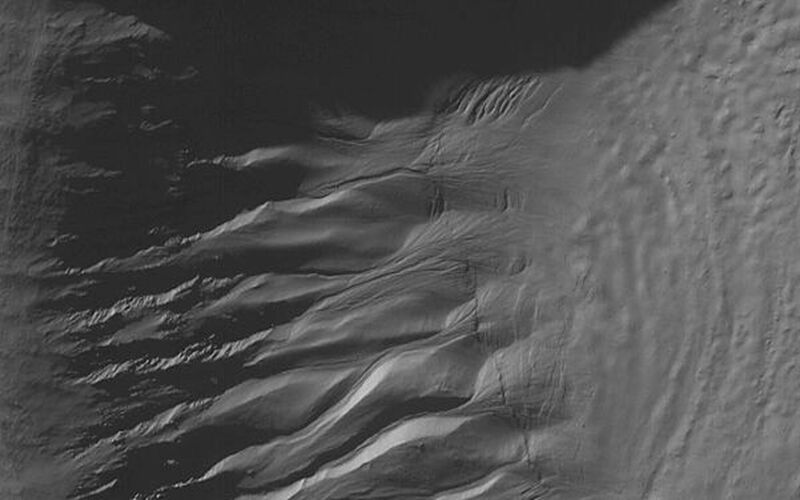 These gullies might have formed by the erosive action of liquid water, sometime in the not-too-distant martian past.